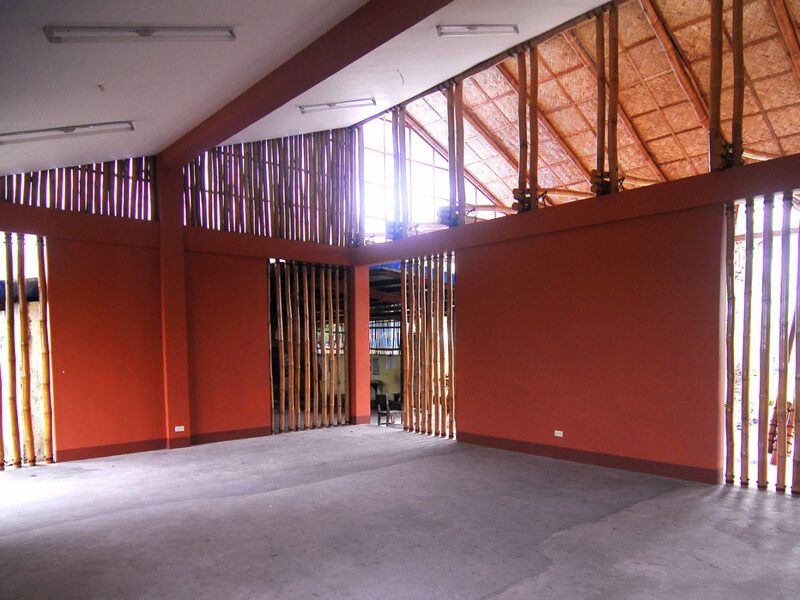 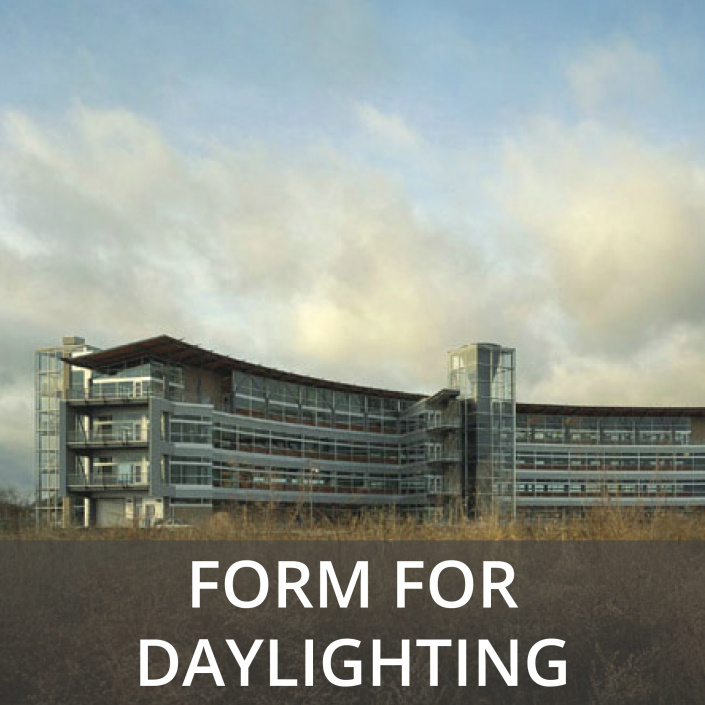 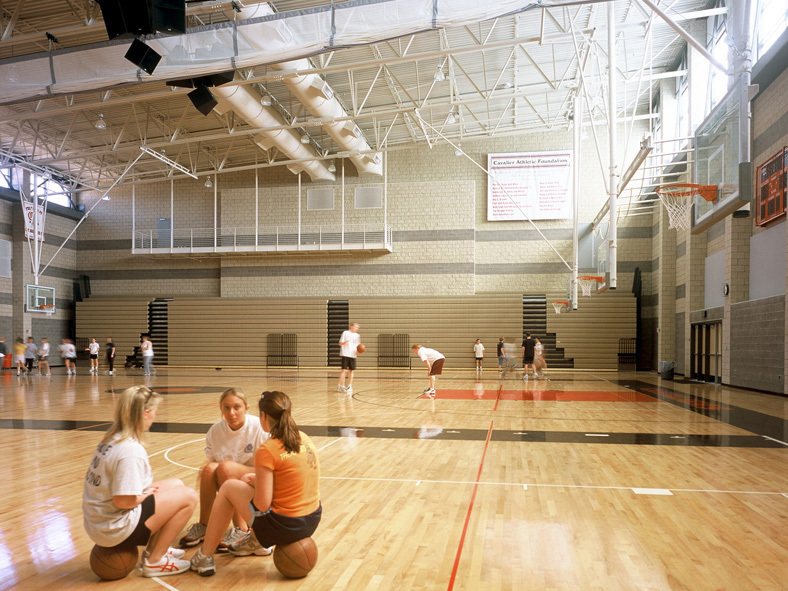 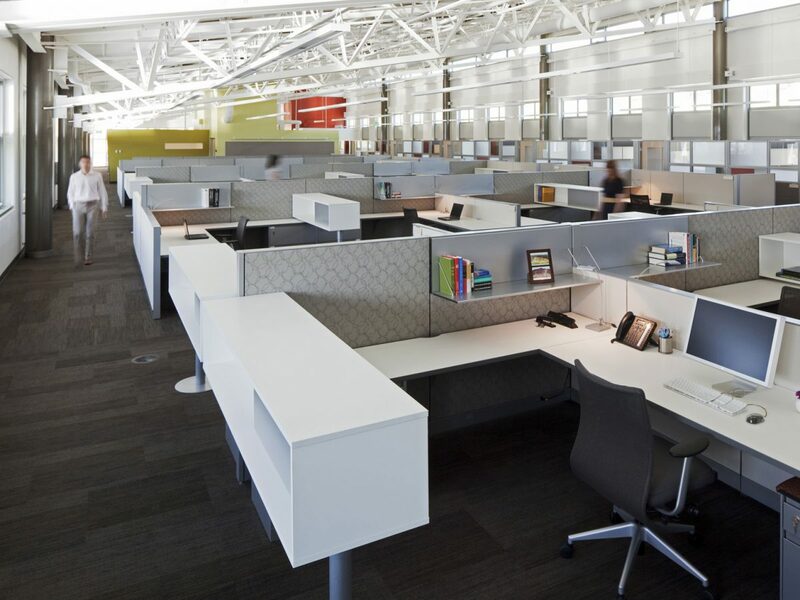 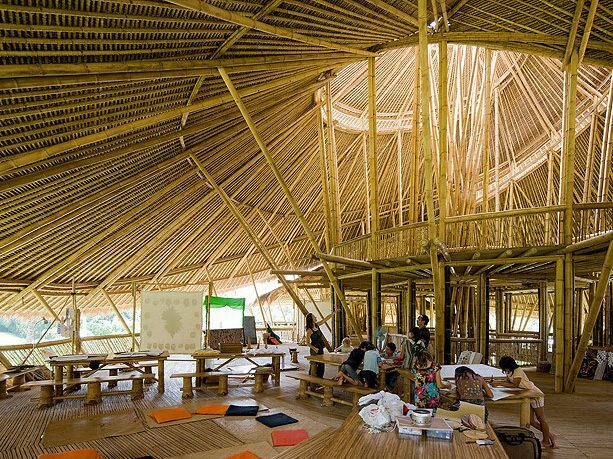 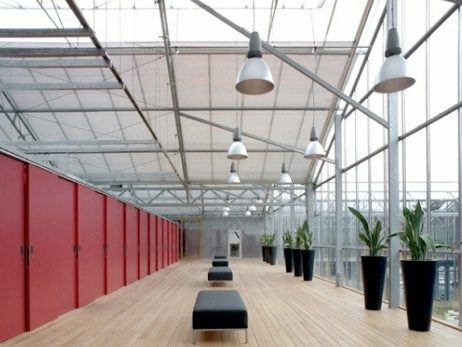 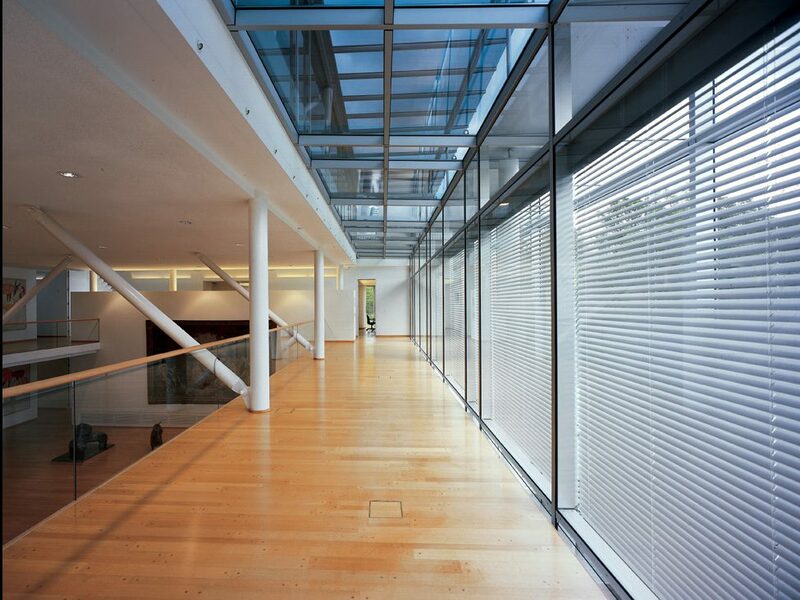 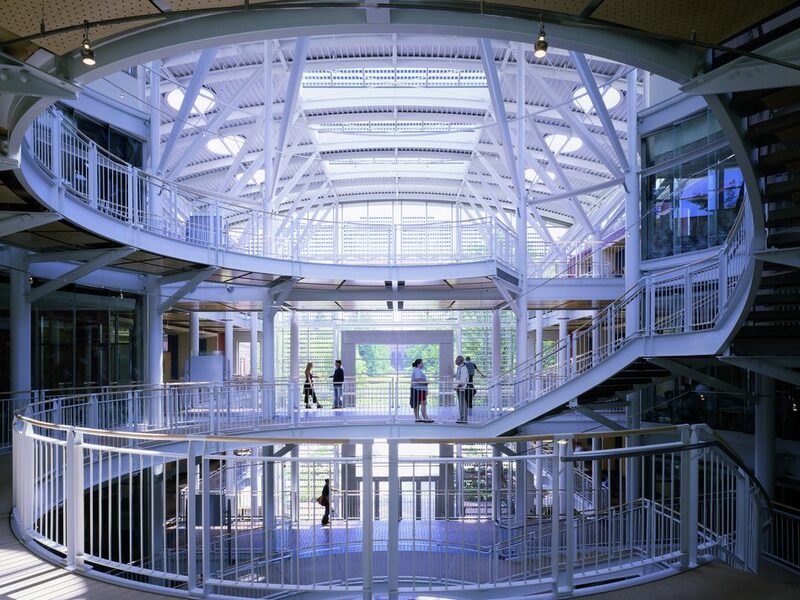 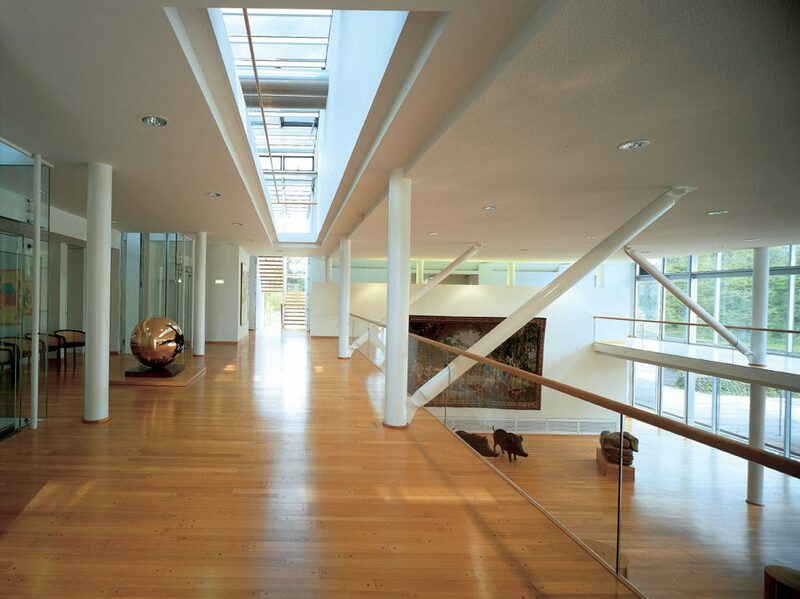 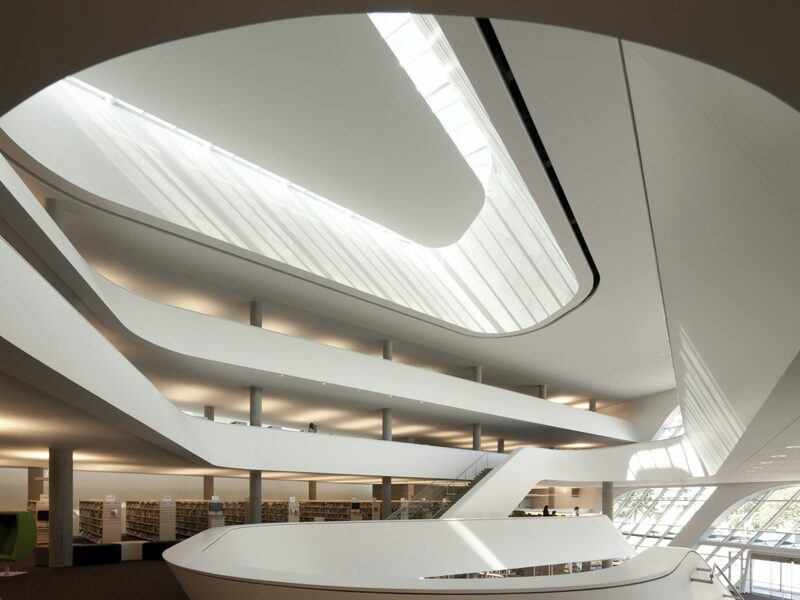 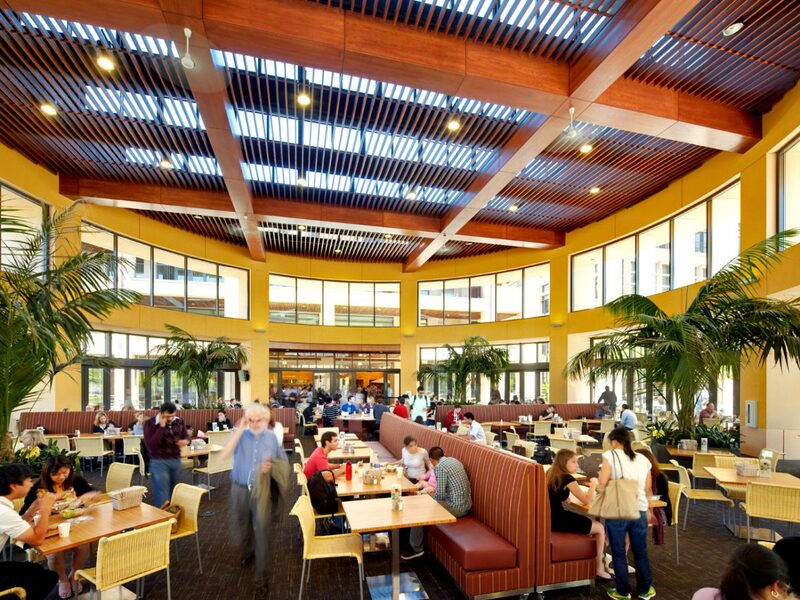 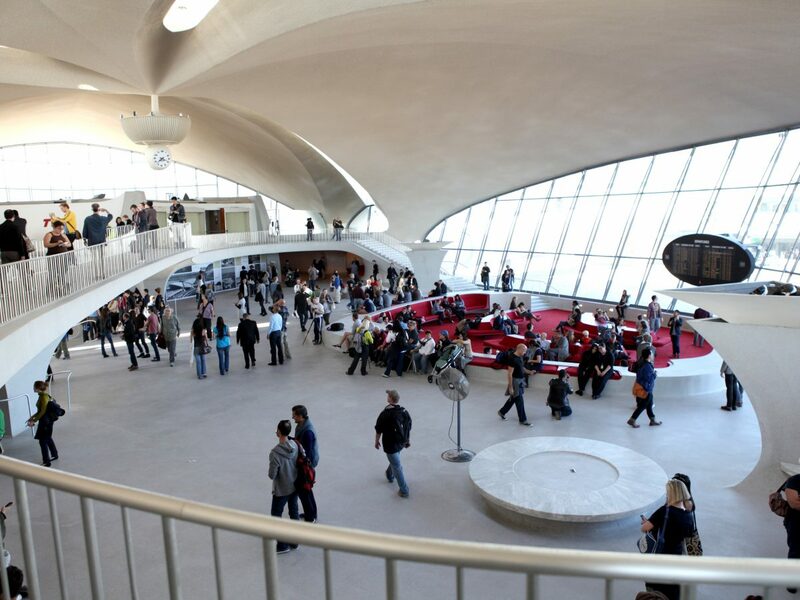 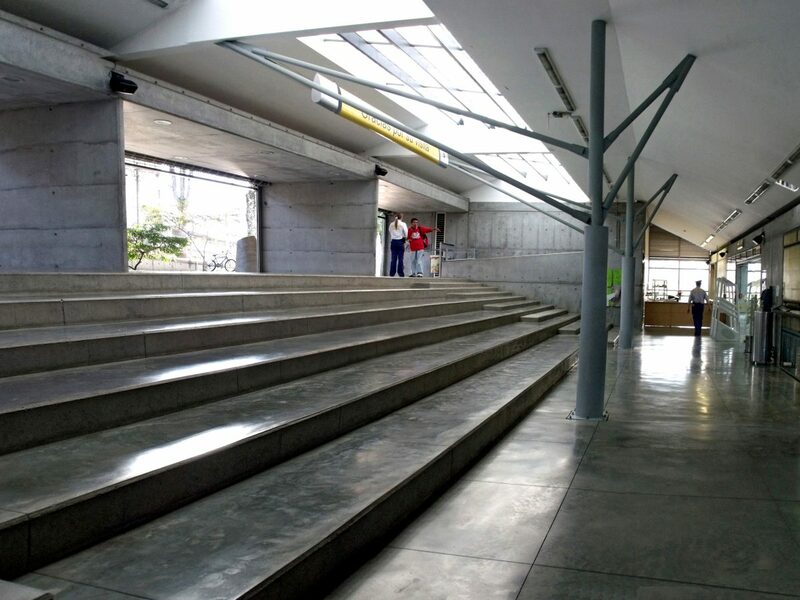 Daylighting spaces from multiple sides provides more even lighting and produces less glare around people and objects. 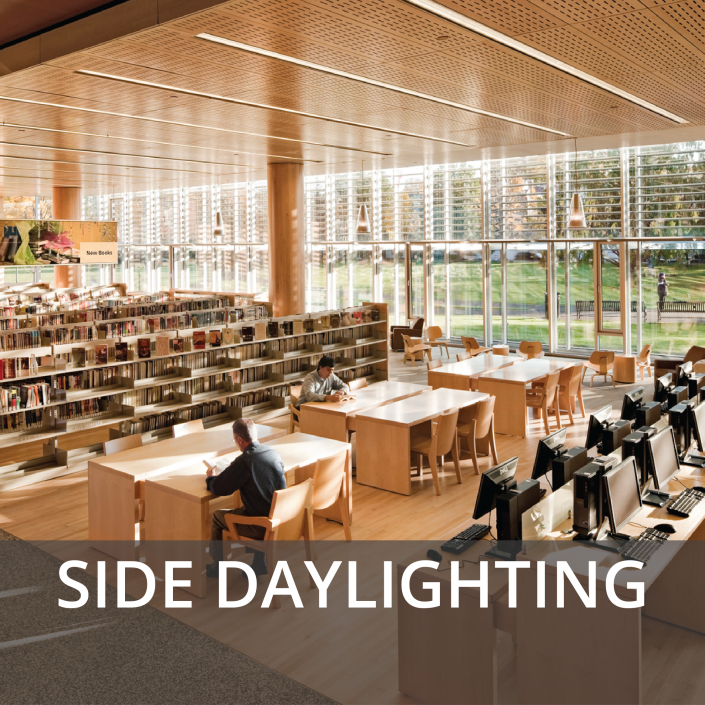 Spaces daylit from one side may contain excessive spatial differences in brightness, high brightness areas behind objects in the field of vision, and uncomfortable glare conditions. 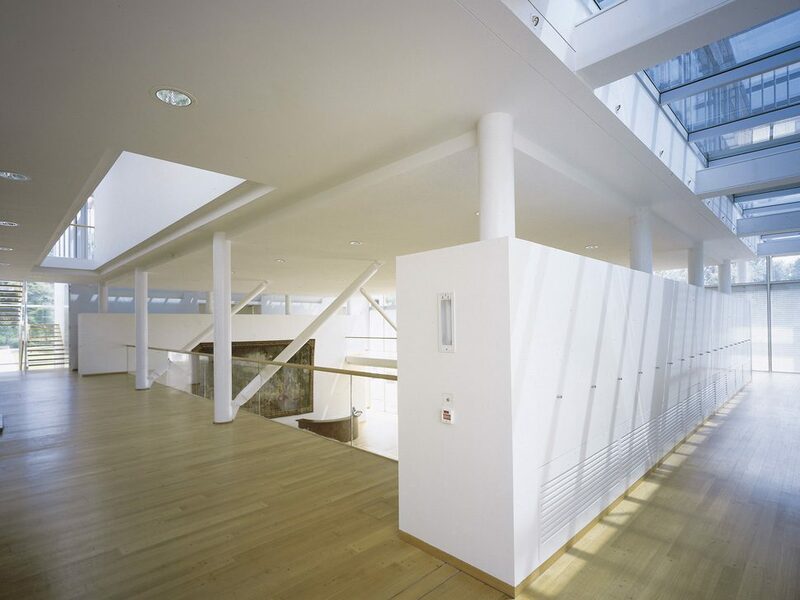 The light gradient from wall glazing to the interior of a space is steep, so the area furthest from the glazing may appear uncomfortably dark. 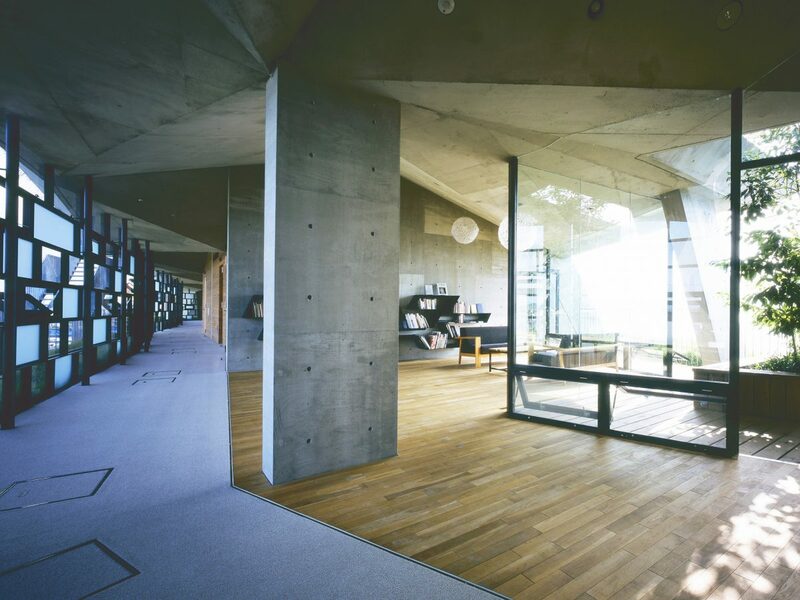 Providing windows on adjacent and/or opposite walls. 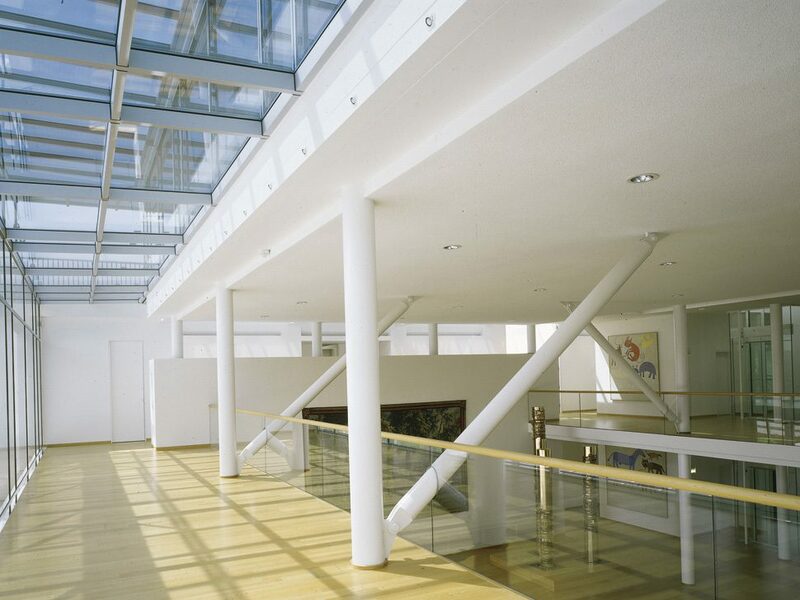 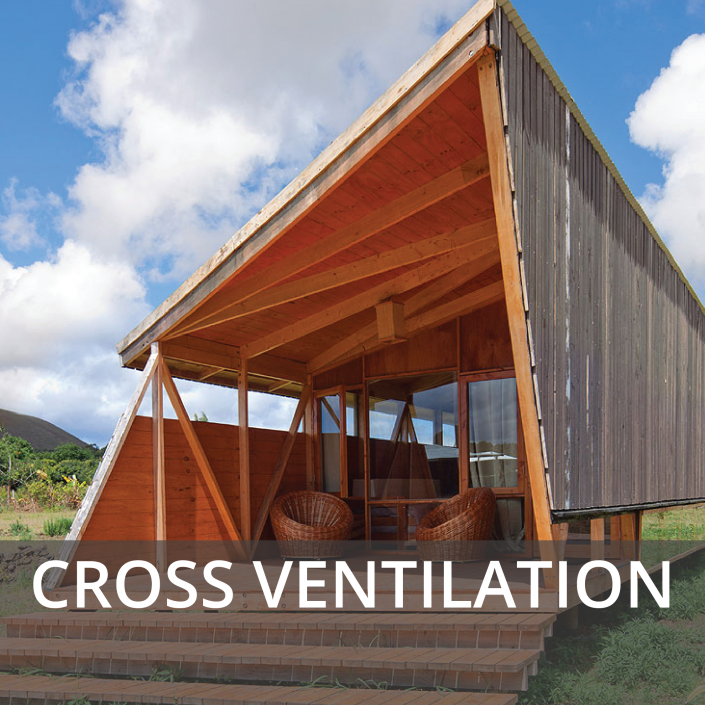 Providing a combination of wall and skylight or clerestory glazing. 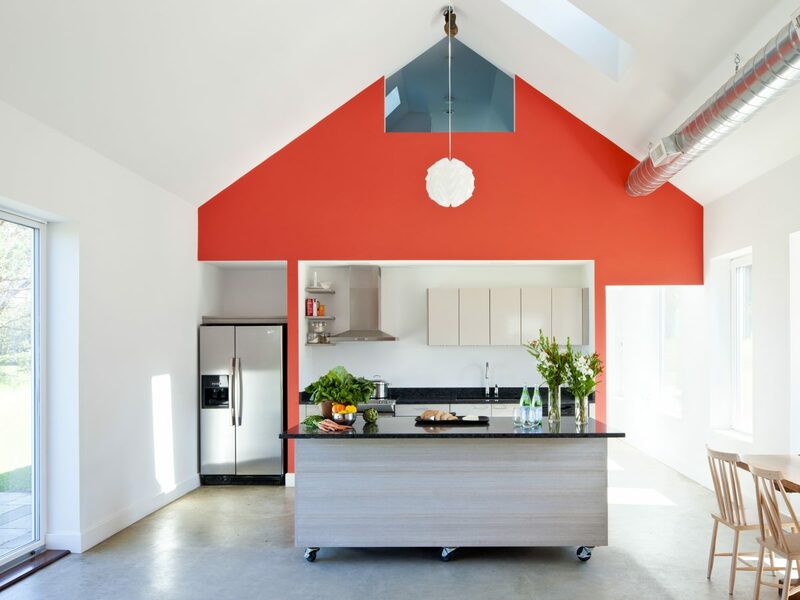 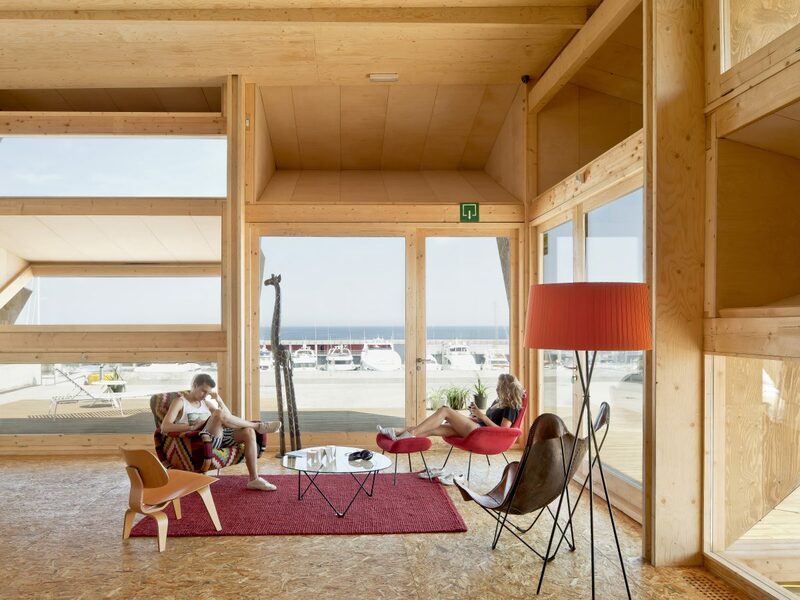 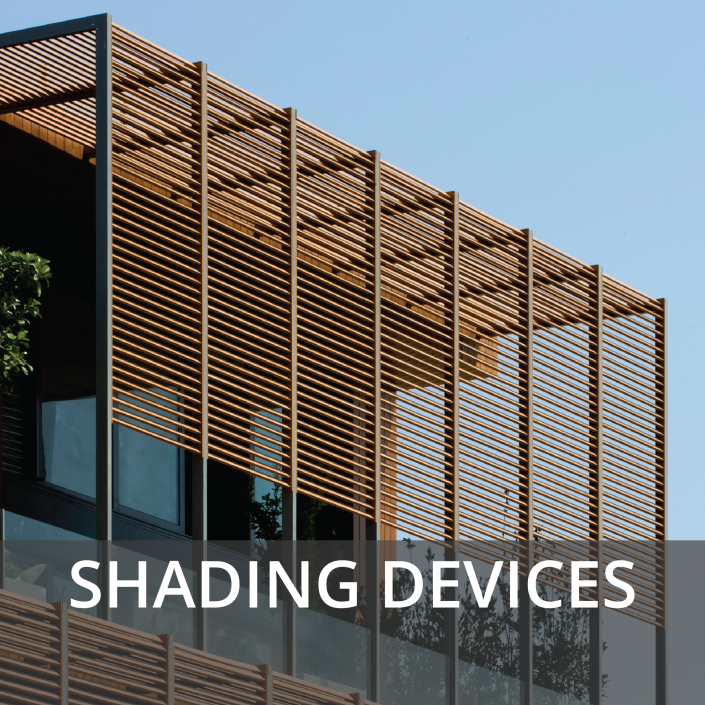 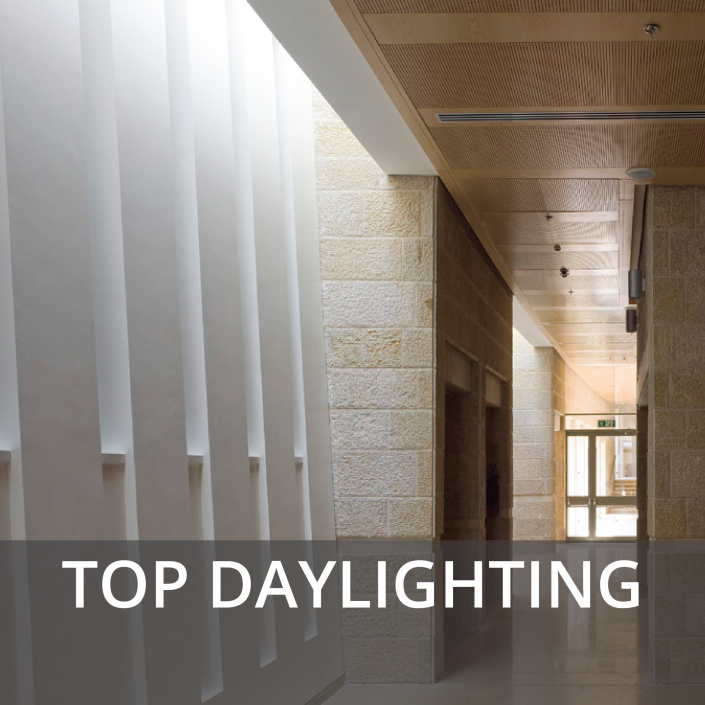 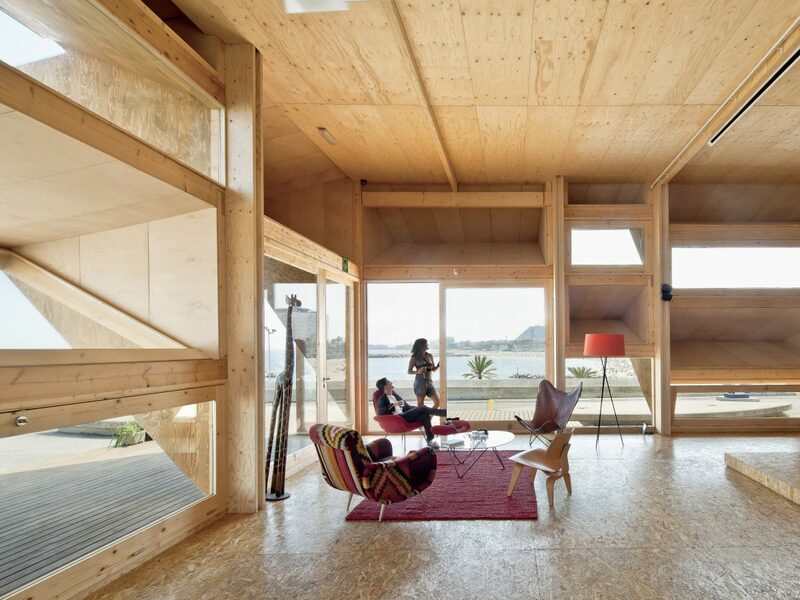 When it is not possible to provide daylighting from multiple sides, make walls and ceiling white in color and incorporate high ceilings and windows with light shelves to direct sunlight deeper into a space.